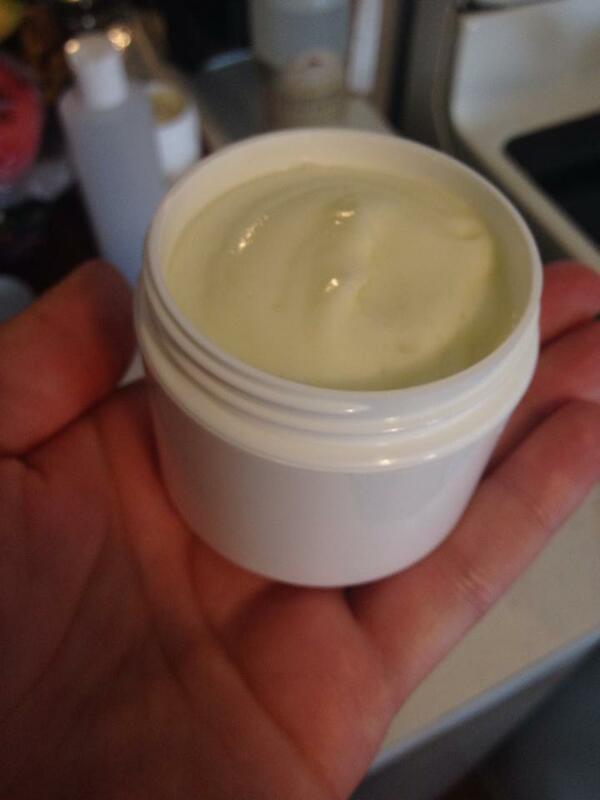 Homemade Lotion…My new favorite recipe!!! 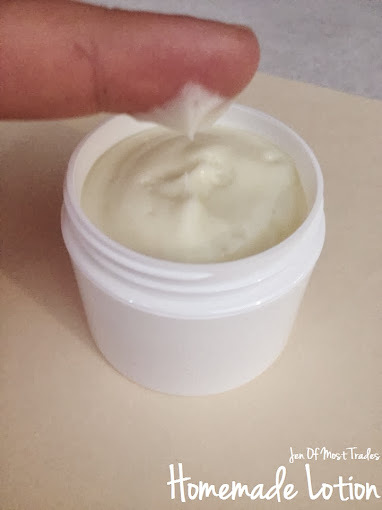 I figured out the secret to making homemade lotion feel like “real” lotion without a bunch of chemicals! It’s not really a secret, but it’s information that I never knew until recently. The secret is……………emulsifying wax! It helps bind water and oil together. Also, stearic acid. It gives your lotion the white/pearly look. It’s okay to skip the stearic acid if you didn’t have it or didn’t want it. This lotion does not have that greasy feeling. It soaks into your skin really well and seems to act as a barrier during the winter weather we are having in my neck of the woods. I get all of my ingredients (except the olive oil) from www.mountainroseherbs.com. In a double boiler, melt oil and wax (and stearic acid if using). I let it melt until it got to around 170 degrees because I read somewhere that it helps kill off any bacteria. After you remove the oil and wax from the double boiler, pour water over the top. It should have a creamy consistency. Using a hand blender, mix it for a little bit. You should see some bubbles forming on the top. I then added the rest of the ingredients. I continued to beat the mixture until it resembled pudding. About 5-10 minutes. It had cooled quite a bit by then, but I let it cool a little longer and then transferred to lotion containers. It feels amazing on my skin! I hope you enjoy it as much as I have! Disclaimer: Just know that if you try this recipe, or any other recipe on this blog, you’re doing so at your own risk, as I am not a scientist, chemist, or anything else with a title or license related to homemade products such as this. It is simply research I have done, and things that seemed to work well for me in my unprofessional opinion.